It corresponds to nylon and polyester materials. 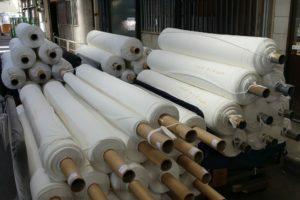 Processing is possible consistently from scouring of the fabric to shipping of inkjet printed items (direct). You can also designate the addition of poster processing (water repellent processing etc) after printing of original design and printing. Since prepress is unnecessary, short delivery and low cost are realized. 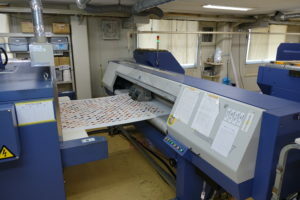 In general, each process of ink jet print preparation, gluing processing and ink jet printing and post processing are often performed in different places, however, Processing is possible consistently from scouring processing to shipment of Inkjet printed products because we have facilities that can handle each process in-house, so that quick delivery is achieved..
※ Please submit the image based on the submission condition here. Since perforation is unnecessary, small lot production is possible at low cost. 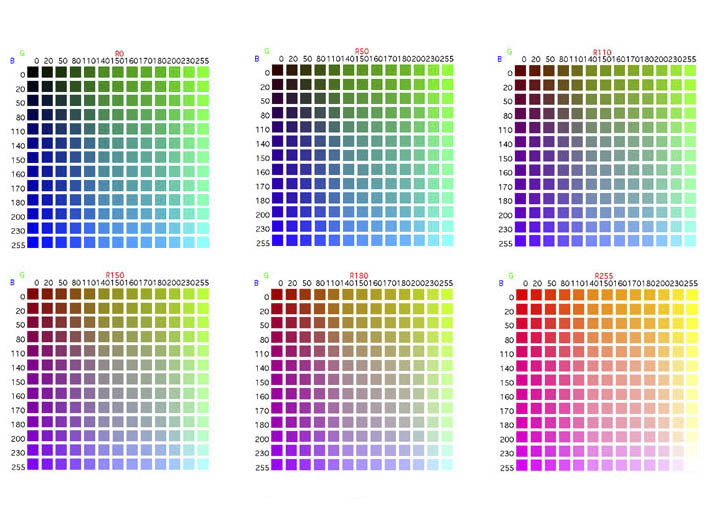 It is 8 colors and 16 heads, we achieved full color printing of 16.7 million colors. Also, because inkjet printing is possible with a high resolution of 540 × 360 to 540 × 720 dpi, it is possible to reproduce a subtle gradation which was impossible in the version. 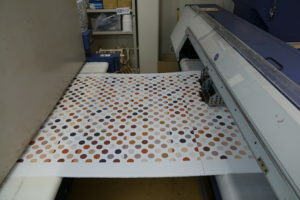 Unlike transfer printing, since it is dyeing, the inkjet print area will not become hard or peel off. Lightfastness, washing, acid sweat, alkaline perspiration, friction both clear 4th grade. Since it is digital print processing, it is easy to print original designs and photographs, enlarge and reduce the pattern size. 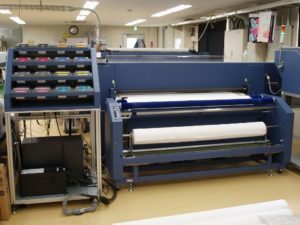 In traditional textile printing, another version was necessary due to size change, but it is not necessary for inkjet printing. 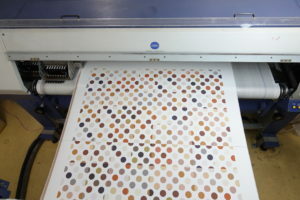 The history of our inkjet print is about 5 years, but plain dyeing has history over 110 years. It is possible to process additional functions such as water repellent processing and chlorine-free odor processing after printing as well as inkjet printing. Making process Make-up is necessary for each color, it costs 2 to 30,000 yen per plate, so it will be compatible with large lot. 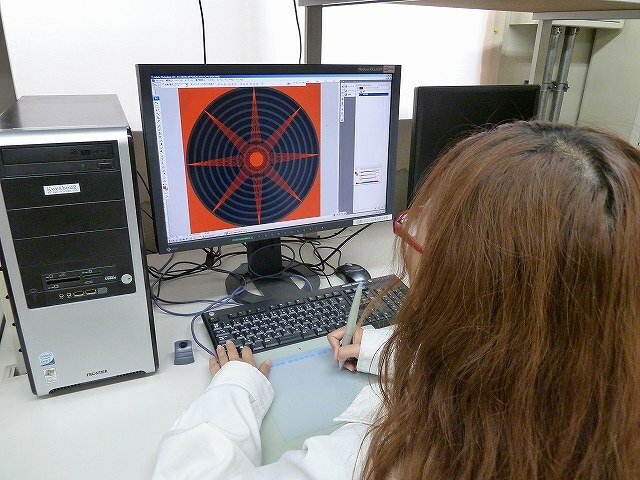 Significant reduction in cost and time for plate making. Intended for small lot. Mass production is supported in units of 25 m.